If you’re planning a trip to England’s capital this spring, you’ve no doubt got well under way with your preparations; especially when it comes to choosing what to take with you. However, as it’s a season in between winter and summer, packing can obviously bit a little trickier. Here are some of our top tips to help you decide what to bring to hopefully take a bit of the stress away, so you can book those cheap flights to London with Bravofly.co.uk and start getting excited! A strange one perhaps to start with, but after just a few hours in London, you’ll see why they’re top of our list. There will be so much sightseeing you’ll want to do, so you’ll need to be sure you have something really comfy on your feet so you aren’t in pain as you walk from one part of the city to the next! If you’re feeling super sporty, you could even consider signing up for the 2015 London Marathon, too! Or you could always just cheer the runners on from the sidelines on April 26th. 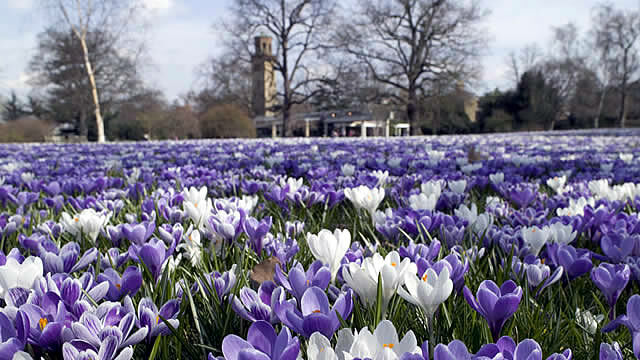 You won’t want to miss a second of the action and all the events in London during spring time, so make sure you have your camera to hand every step of the way. You can capture some incredible shots of the world class flowers at the RHS Chelsea Flower Show, and show your friends and family back home! You also won’t want to miss the world famous rivalry that happens each spring on the River Thames – the epic battle of Oxford and Cambridge’s rowing teams as they each head to the water to row it out to win the crowning title. Pick a side and be sure to cheer them on Saturday 11th April – the women’s race starts at 4.50pm, the men’s at 5.50pm. Although London does usually boast some of the best weather conditions in the UK, it’s always a good idea to be prepared with a light jacket for spring time, especially during the evenings when it can get quite a bit cooler. Luckily, there are loads of really great evening and night time events in London during spring, such as the Museums at Night Festival where some of the city’s top museums open their doors later for you to enjoy their exhibitions in a whole new light. With a bit of luck London will experience another great spring this year just like last, so don’t forget to add those sunglasses to your case! Especially because there are so many outdoor events to immerse yourself in, so you’ll definitely need them. One of our favourite outdoor events in London has to be the amazing shows that take place every summer season (which starts earlier and earlier every year due to popular demand) at Shakespeare’s Globe. This year’s productions include The Tempest, Macbeth and then finally A Midsummer Night’s Dream.